Welcome to Jubilee Farm & Vineyard. The formal gardens and vineyards at the peninsula of Jubilee Farm form a very private enclave. Our deed to the farm dates from 1737, and the view references the historic waterways that have for centuries shaped Maryland's saltwater farms. These pictures of Ryan and Randi's wedding show off a perfect wedding day for a lovely couple and their wonderful family and friends. 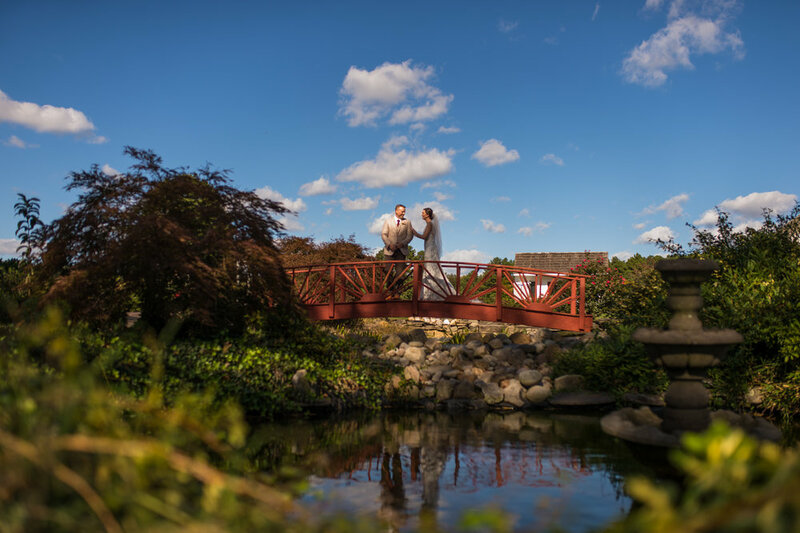 Set in the natural wonders of Jubilee Farm & Vineyard, Mother Nature smiled from early morning to sunset. The sunset fired up the skies just before a dancing celebration to beat the band. 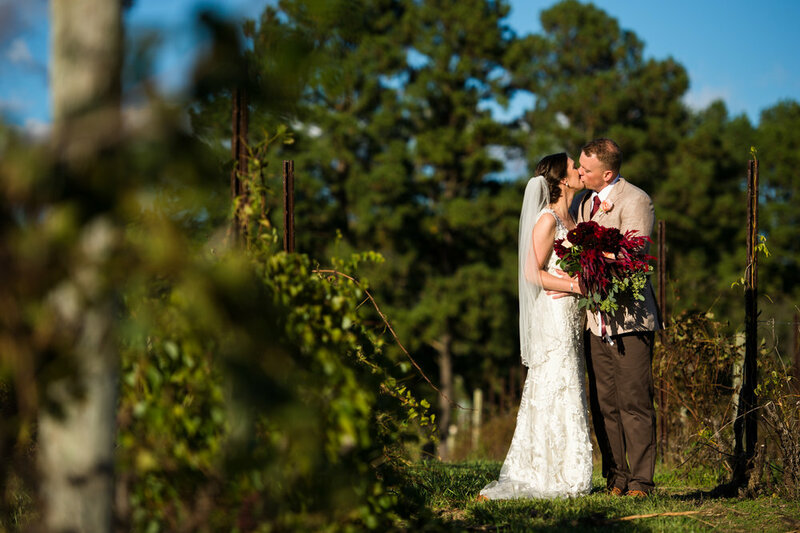 Wedding ceremonies and receptions can be accommodated for up to 200 at the Winer Barn. 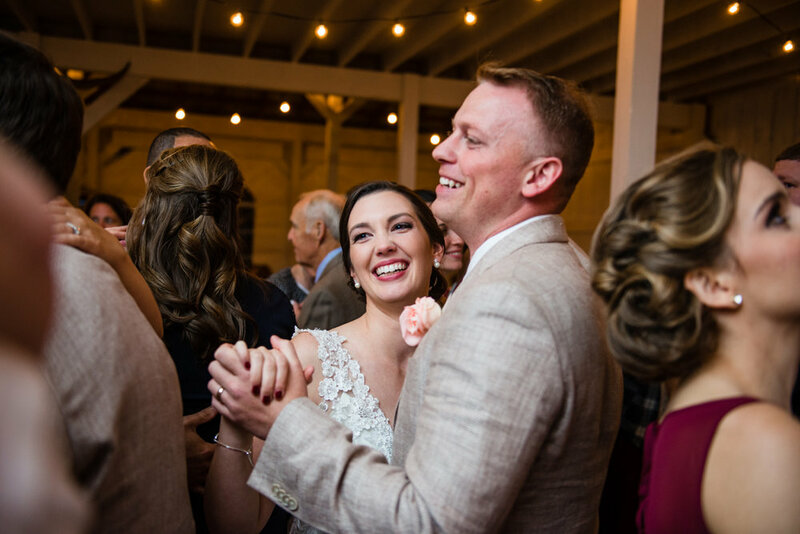 The rustic Amish-built barn contains oak barrels and steel tanks amid draped garden lights lights for a completely authentic winery wedding. 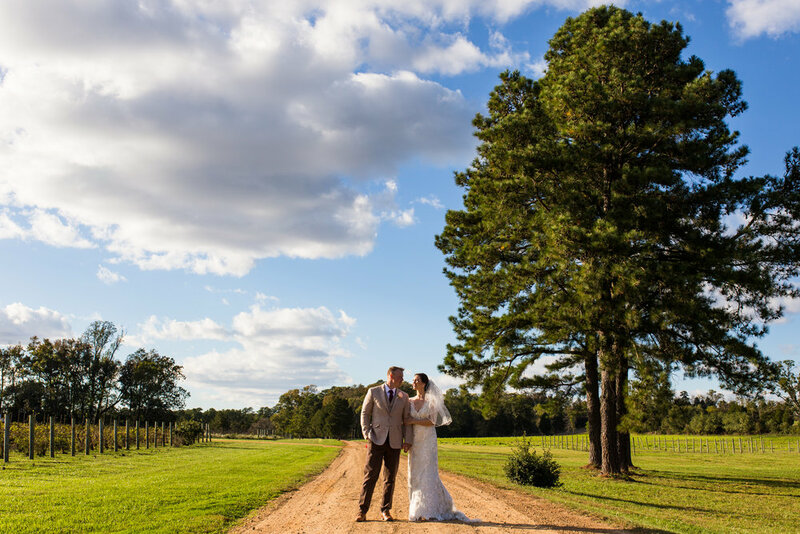 To visit Jubilee Farm & Vineyard for a possible wedding or event, email jubileefarmvineyard@icloud.com or call Jim at 301-247-8800. I've included a section on the Vineyards as well as the Gardens, and a bit about Blake Creek as well. You can read about the Beaver Pond at the headwaters and the inlet to the Potomac, where the rockfish congregate, and where the heron lagoon is situated. 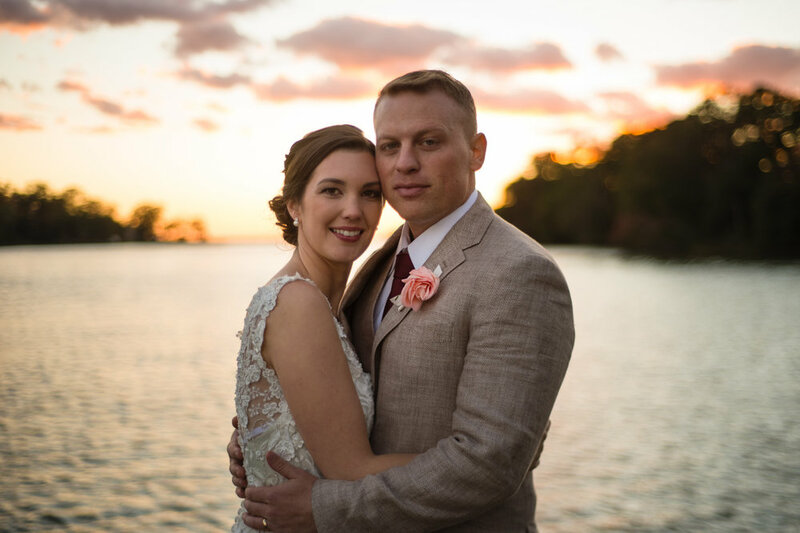 What you can't read about but have to see for yourself are the sunsets, the vineyard vistas, and the quintessential Maryland saltwater farm style that distinguishes Jubilee Farm & Vineyard.